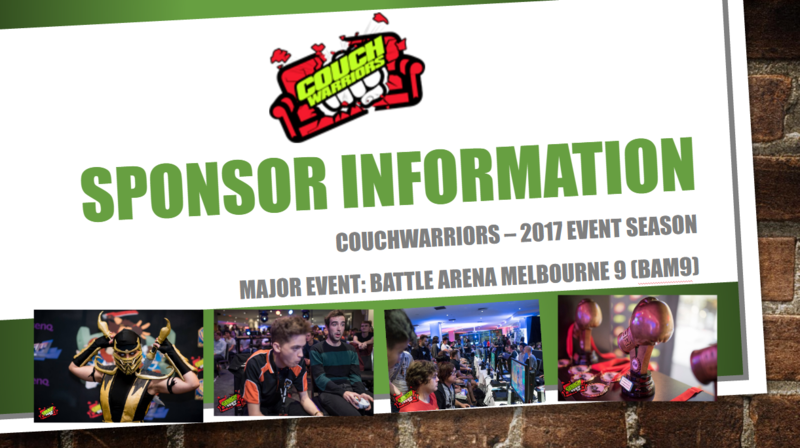 CouchWarriors runs monthly gatherings, special marquee events, tournament services at conventions, and an annual national major tournament called BAM – Battle Arena Melbourne. Our Monthly Ranking Battles attract over 210 attendees per month and are a perfect way to create solid regular engagement with the community. BAM is in its ninth year and attracts players from all over the country, acting as the major gathering for our community. We expect over 1,000 attendees and 150,000 viewers on a live video stream and subsequent video archives. 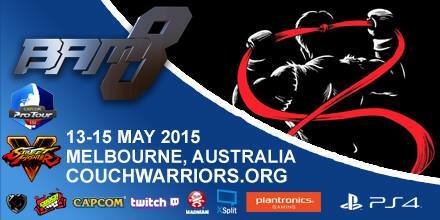 BAM is an opportunity for a sponsor to reach a strong core gamer audience as well as an ever growing online gaming and general entertainment audience that take an interest in events like these from a sporting style, spectator’s perspective. Further options can also be explored with the team. We have time built in to the schedule for promotion and exhibition (Live and on stream) for the right opportunities, such as showcasing unreleased games.